Kentec’s full line of products, manufacturing, design and engineering capabilities are here to provide solutions to your project needs. 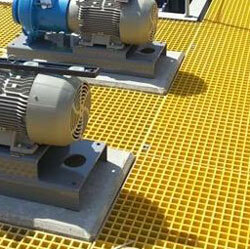 1/4 Weight of steel grating makes installation easy and eliminates the need for heavy lifting equipment. Effortless Cutting. No painting, and no maintenance is required. Please keep in mind, replacement costs much to owners. 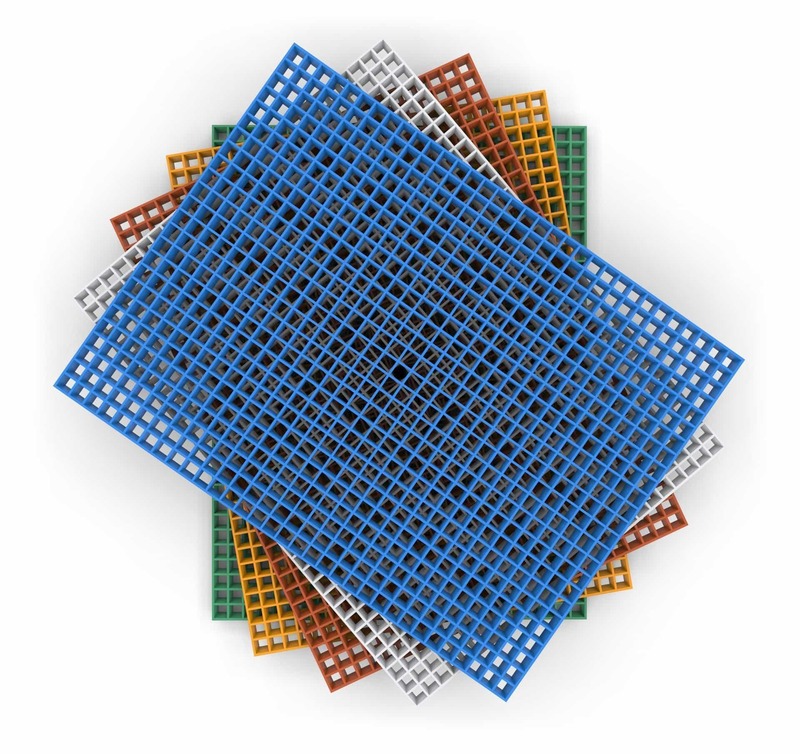 Unparalleled performance in most harsh chemical environments, which could not be achieved by using traditional metal grating. Excellent test result(BS 7976-2) guarantees sure footing on both dry and wet working conditions. Fire retardance meets standards of ASTME 84 Class 1. And what is more, extra low temperature tests witness the good performance at-196 degrees Celsius. Integrally molded construction with Bi-directional load carrying capability. 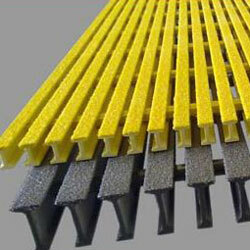 High resin content provides higher chemical corrosion resistance and fire retardancy. Offers the same characteristics as standard grating with the benefits of a solid surface, which eliminates items from falling through the panel grid. Slip resistant surface added for safety. High strength unidirectional rovings allow for greater load carrying capability on larger spans. Fire resistant and Chemical resistant. Constructed to OSHA standards using pultruded shapes. 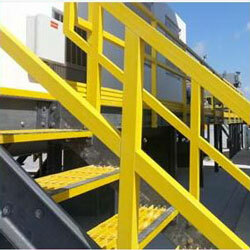 Safety rails guard slip/fall areas in the workplace. Molded and Pultruded stairt reads are available in two resin systems, polyester and vinylester. Standard and custom sizes are available. 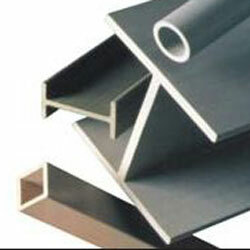 Standard Structural shapes include angles, I-beams, wide flange beams, channels and tube. Custom profile capabilities are available. Stands up to rugged use in various environments. Design offers easy gripping and slip resistant traction. The anti-slip surface is ideal for slip/fall areas, where water, oil and hazardous liquids are present.